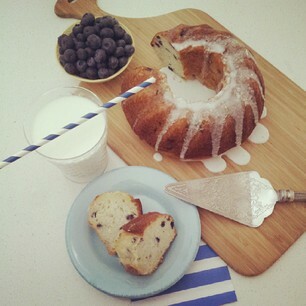 I wanted to share with you two photos from the latest food styling photo shoot. Pretty much the same props, but different set ups, camera angles, and editing filters. What do you think? Which one is your favorite? Notice the textures and colors in these two photos. 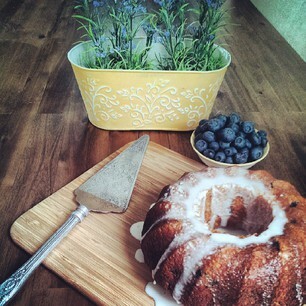 I chose to show fresh blueberries so to give a clue of what is inside the bundt cake. The blue color is carried through in the first photo in both the napkin and the straw. Next time you are styling and taking photos, don’t stop at the first one. Edit, and recreate and see what happens! I like the first shot better. It's sooooo pretty.